6TH MARCH 2019, BENGALURU, INDIA – Subex, a leading telecom analytics solution provider, today announced that it has signed a five-year multi-million-dollar deal with Botswana Telecommunications Corporation Limited (BTC), a leading telecommunications services provider in Botswana. As part of the deal, Subex will be implementing its integrated ROC Revenue Assurance and ROC Fraud Management Platform (iRAFM), along with its ROC Partner Settlement and ROC Route Optimization. This deal also marks the continuation of Subex and BTC’s long-standing partnership which dates back to 2010. BTC is a telecommunications services provider offering fixed line, mobile services (voice, SMS, data) and fixed broadband through ADSL, Fixed LTE and fiber to individual consumers, enterprises and other licensed service providers. BTC has interconnections and relationships with multiple service providers in the region making it a trusted partner for both provisioning of services to neighboring countries and as a partner for transit product and services. Through the multi-solution deployment of iRAFM, Subex will enable BTC with an out-of-the-box solution to combat prevalent frauds such as Subscription Fraud, Internal Fraud, Premium Rate Service Fraud (PRS Fraud), and International Revenue Share Fraud (IRSF), amongst others. The solution will also prevent losses through revenue leakage by providing a solution with capabilities to investigate, diagnose and recover any lost revenues. The ROC Partner Settlement deployment will offer BTC a 360-degree view of their interconnect agreements to help better manage revenue and margins across their partner ecosystem. Moreover, through ROC Route Optimisation, Subex will provide BTC with a solution that analyzes existing data in terms of operator tariffs and quality of service and generates forecasts to help make an informed choice of interconnect operator partners. In addition to this, Subex will also provide BTC with Managed Services expertise to help them implement the best practices and get the most out of the deployment. “We have had a long-standing relationship with BTC, and it gives me great pleasure to successfully enter into a new 5-year contract with them. We started our engagement with BTC in 2010 where we played a pivotal role in supporting their mission-critical business operations and processes through our solutions and expertise in the areas of Revenue Assurance and Fraud management. As part of the new deal BTC will be able to take advantage of the latest versions of our product suite, along with our business and IT application support on all the platforms” said Vinod Kumar, Managing Director & CEO, Subex Limited. February 12, 2018, BENGALURU, INDIA – Subex, a leading telecom analytics solution provider, has announced that it has closed a 5-year deal with Umniah to deploy ROC Revenue Assurance. FLORENCE/DENVER/BANGALORE: Subex, a leading Internet of Things (IoT) and critical infrastructure security solutions provider, has announced it has partnered with the Town of Florence, Arizona to provide security to its critical public infrastructure. An agreement to this effect was recently signed by Florence and Subex. Once critical infrastructure comes online, it becomes vulnerable to cyber-attacks. In 2017 alone, cybercrimes inflicted USD 445 billion of costs on the global economy (as per data shared by the World Economic Forum). The frequency and complexity of multi-tier attacks have been increasing with hackers using a range of tactics, applications and compromised devices to launch attacks at a global scale on utility infrastructure. The core motivation behind these attacks is to cause widespread disruption and inconvenience to citizens and other stakeholders. As part of this partnership, Subex will provide end-to-end cybersecurity to detect, repel and remediate advanced threats to Florence’s most basic and vital technological systems. When Florence launches its smart cities project, Subex will continue to be the cybersecurity partner for all projects coming under the plan. Through this partnership, the Town of Florence is leading the way by becoming one of the first cities to protect its public infrastructure through solutions, strategies, and measures provided by Subex. This partnership is a landmark one and will pave the way for other cities to adopt similar measures thereby ensuring the highest levels of protection for smart city projects across the United States. “I am excited by the possibilities our association with the town of Florence brings. On the one hand, we will be helping Florence defend its assets while shoring up its cybersecurity defense capabilities. On the other, this partnership will improve awareness among cities on the urgent need to improve cybersecurity and vigilance measures. This will go a long way in improving stakeholder confidence,” said Vinod Kumar, CEO, Subex. “Our partnership with Florence will help the town focus more on meeting the needs of citizens and businesses while we attend to its cybersecurity needs. Florence has shown the way for other cities and towns everywhere to start taking cyber security seriously and work towards securing critical infrastructure. We are excited to partner with Florence and are looking forward to working with the town leadership and other stakeholders to secure the Town and its assets,” said Kiran Zachariah, VP, IoT Business, Subex. The Town of Florence is the county seat of one of America’s fastest growing counties – Pinal County, Arizona. As a part of the Phoenix Metropolitan Area, and sitting only 60 miles away from Tucson, Florence residents enjoy great access to urban amenities while enjoying the benefits of rural life. Home to about 27,000 residents year-round, the population surpasses 30,000 in the cooler months. Founded in 1992, Subex has spent over 25 years in enabling 3/4th of the largest 50 CSPs globally achieve competitive advantage. Subex helps CSPs to drive new business models, enhance customer experience and optimize enterprises. BANGALORE, INDIA – Subex , a leading telecom analytics solution provider, has announced that it has signed a new contract with Türk Telekom via its partner Gantek to deploy the latest version of its ROC Revenue Assurance solution. As part of this deal, Subex will be upgrading its existing Moneta deployments to ROC Revenue Assurance v6 and will cover the fixed-line, broadband and mobile operations of the merged entity of Türk Telekom and Avea. Türk Telekom, with 177 years of history, is the first integrated telecommunications operator in Turkey. Having a wide service network and product range in the fields of individual and corporate services, Türk Telekom unified its mobile, internet, phone and TV products and services under the single “Türk Telekom” brand as of January 2016. Türk Telekom has 13.9 million fixed access lines, 10.1 million broadband and 19.9 million mobile subscribers as of March 31, 2018 and provides services in all 81 cities of Turkey. Subex was selected after a competitive bid, with the help of its partner Gantek, wherein the company was able to successfully showcase the superiority of its Revenue Assurance solution, and how the integration of Hadoop and Machine Learning capabilities makes the solution future ready. As part of the deal, Subex’s ROC Revenue Assurance will enable Türk Telekom to have a converged Revenue Assurance platform, thus protecting their revenue across all their lines of business. “We are excited to extend our long-standing partnership with Türk Telekom by upgrading our existing deployment to ROC Revenue Assurance v6. The latest version of the solution leverages native Hadoop architecture, along with Machine Learning capabilities, and can process over 30B CDRs a day. Through the deployment of ROC Revenue Assurance, we will protect their business with a convergent system that will cover all their business areas.” said Vinod Kumar, CEO and Managing Director, Subex. Gantek, a leading Systems Integrator in Turkey has also been involved by supporting the deployment and playing a large part in leading the project integration. Speaking on the announcement, Ahmet Ongun, CEO of Gantek, said, “We are happy to work with Subex on deploying their ROC Revenue Assurance at Türk Telekom. This new project strengthens the joint position of Subex and Gantek in the Turkish market as a leading team in the space of BSS”. Subex’s ROC Revenue Assurance is the industry’s first revenue assurance solution that simplifies RA. The solution helps customers in addressing revenue assurance challenges inherent to individual service verticals: Wireless, Fixed, Cable MSPs, and MVNOs. It also helps address revenue assurance across multiple functional areas such as service fulfilment, usage integrity, retail billing, interconnect/wholesale billing, and content settlement in addition to revenue management in marketing, campaign management, offer development and lead management. Bangalore, India – Subex, a leading telecom analytics solution provider, has won a multi-million-dollar contract with Optus, Australia to implement its ROC Network Asset Management solution. Optus is one of the largest telecom operators in Australia and a fully owned subsidiary of Singtel. They offer mobile, enterprise and wholesale services and home entertainment, exclusive content including EPL. Subex was selected after successfully demonstrating its strong domain expertise and unique value proposition while showcasing the superiority of its solution. As part of the deal, Subex’s ROC Network Asset Management will enable Optus to control all of its existing and new network investments through a well-defined network efficiency framework. This implementation will further help Optus to protect their network investments, improve utilisation visibility and provide better financial controls. “We are excited to partner with Optus for enabling Subex’s ROC Network Asset Management solution. This win allows us to increase our footprint in the Australian market and for our ROC Network Asset Management product, which is a testament to our Subex 3.0 strategy. Moreover, the partnership will also play a larger role in the industry by providing guiding principles for cost management for global operators who are looking to undergo a network upgrade program” said Vinod Kumar, CEO and Managing Director, Subex. Commenting on the development, an Optus spokesperson said, “We have designed a Network Assurance program that will ensure clear visibility across the complete lifecycle of the program. In line with this, we were looking for a collaborative partnership to implement an Asset Lifecycle Management system. Subex was selected for this deployment basis due to their domain expertise and successful deployment at other global customers”. Subex ROC Network Asset Management is a Telecom Asset Lifecycle Management solution which provides a framework and controls to manage Network Capex efficiently. The solution also provides standardized processes for managing and optimizing network assets. The solution ties together the financial parameters of assets with current utilization and location, thus creating a 360o view of the asset. This enables effective validation of requests for Capex spend, generation of accurate reports for audits and better calculation of return on assets. The solution creates opportunities to generate free cash flow by identifying end-of-life assets for monetization. Bangalore, India – Subex, a leading security solution and telecom analytics provider announced the collaboration with a large automobile Original Equipment Manufacturer (OEM) to provide cutting-edge security solution to secure Connected Car Domains. The collaboration aims to create a framework of security resilience in the connected car and autonomous driving space. This joint development will include Subex providing vulnerability assessment, penetration testing and security modules that will be incorporated in the OEM’s new products. The Automotive IoT market is projected to reach USD 82.79 Billion by 2022. By 2020, an estimated 250 million connected vehicles will be on the roads worldwide. As the number increases, so do the security concerns and hacking fears. “As our cars become increasingly connected and digitalized, the easiest way to disrupt the ecosystem is by leveraging the network communications and exploiting the vulnerabilities in the in-car systems. Such disruptions could be potentially life-threatening and hence protecting the connected and autonomous driving platforms are critical. With over 2 decades of experience in fraud and security solutions, we bring state-of-the-art technology coupled with Subex’s 3 layered approach of signature, heuristic and machine learning based anomaly detection mechanisms. This will allow OEMs to benefit from a defense-in-depth security solution” says Mr. Kiran Zachariah, Head of IoT Security, Subex. Vinod Kumar, CEO and Managing Director, Subex said “Connected car segment is extremely buoyant and is likely to disrupt the automobile industry. However, addressing its security risks poses a huge challenge and will be a major barrier to large-scale adoption. We are extremely pleased with the progress that we are making in securing the connected IoT world and this strategic alliance with the OEM is another key step in that direction”. Subex is the market leader in the products Security and Fraud Management market, with over 180+ customers in total. Subex is a pioneering entity in the Cybersecurity space involved in multiple public and private partnerships worldwide. The company runs the world’s most comprehensive IoT and ICS focused honeypots of over 400 architectures in 32 locations around the world. LONDON, UK – Subex Limited, a leading global provider of Business and Operations Support Systems (B/OSS) for Communications Service Providers (CSPs), announced today that it has successfully been awarded a new 5-year, multi-million dollar framework contract with BT, following on from its existing contract with the communications provider. In common with the previous contract, the new framework contract will cover the on-going provision of Subex’s ROC® (Revenue Operations Centre) portfolio software solutions, application/operations support, and managed services. These are delivered across BT’s Domestic & International Interconnect Billing & Settlements, Revenue Assurance and Event Integrity domains. The primary objective of the Subex ROC is to function as the ‘Mission Control for Financial Health’. The ROC enables profi­table growth for service providers through coordinated operational control. BT uses multiple Subex ROC solutions including ROC Revenue Assurance (for BT Global Services) and ROC Partner Settlement. “We are delighted that we have a long-standing relationship with BT and we have successfully completed and renewed a new five-year framework contract, thus continuing our involvement in supporting BT’s mission critical business operations and processes. BT is an extremely important customer and we are happy that they continue to select Subex’s industry leading ROC solutions,” said Vinod Kumar, COO, Subex Ltd.
ROC Partner Settlement provides end-to-end coverage of Next Generation Wholesale Billing capabilities (Data Collection, Rating & Billing and Financials) under a single umbrella, hence making upgrades and maintenance easy. This flexibility ensures low cost of ownership both in terms of initial investment and ongoing maintenance costs. Subex Limited, a leading global provider of Business and Operations Support Systems (B/OSS) empowers communications service providers (CSPs) to achieve competitive advantage through Business and Capex Optimisation – thereby enabling them to improve their operational efficiency to deliver enhanced service experiences to subscribers. Subex operates out of India, UK, UAE, and Singapore. London, UK – Subex Ltd, a leading global provider of Business Support Systems (BSS) for Communications Service Providers (CSPs), has announced that it has been selected to provide its industry leading ROC Fraud Management Solution by Swan Mobile, a.s.
SWAN Mobile, a.s. is a rapidly developing Slovak telecommunications service provider, which aims to provide customers with professional telecommunications solutions of the highest quality. As part of the implementation, Subex’s ROC Fraud Management will cover Voice, SMS and mobile data services for pre-paid and post-paid subscribers of SWAN Mobile, a.s. According to SWAN Mobile, a.s. Chief Technology Officer, Patrik Kollaroci, “Being a progressive organization, we understand the significant impact fraud can have on telecom operators, from both a financial and operational perspective. This fact, coupled with the rapid growth we have been seeing, led to us to proactively look for an industry leading fraud management solution and we believe Subex’s Fraud Management solution will enable us to safeguard our business from the implications of fraud effectively”. “We are excited to be selected by SWAN Mobile, a.s. as their partner to provide our Fraud Management solution. The deployment of ROC Fraud Management will help Swan Mobile a.s. protect their business revenues and safeguard them against the threat of fraud. This win is a testament to the capabilities of our ROC Fraud Management solution, and we are confident of making this partnership successful.” said Vinod Kumar, Chief Operating Officer, Subex Ltd.
Subex’s ROC Fraud Management solution ensures a rapid return on investment (ROI) by offering the strongest fraud management capabilities, increasing compliance, reducing risk, and providing economies of scope. Subex’s detailed business benefit modelling tools allow customers to determine ROI, build reliable business cases, and explicitly see the value that our solution can bring to their business. Subex’s product portfolio powers the ROC and its best-in-class solutions such as revenue assurance, fraud management, asset assurance, capacity management, data integrity management, credit risk management, cost management, route optimization and partner settlement. Through its ROC Insights advanced analytics service, Subex provides actionable insights delivered through consumable storyboards, to help telecom operators make the best use of their data. Subex also offers a scalable Managed Services program with 30+ customers. Among the numerous awards the company has won, Subex has been awarded the Pipeline Innovation Award 2016 for Security and Assurance and has been the winner of Carriers World Awards 2015 for Best Security/Fraud solution, and Telecoms Award 2015 for Advances in B/OSS. 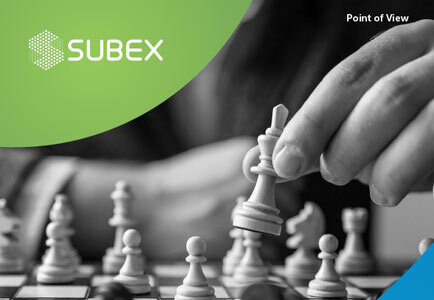 Subex has continued to innovate with customers and have been jointly awarded the Global Telecoms Business Innovation Award in 2016 with BTC Botswana; in 2015 with Mobily; in 2014 with Telstra Global; in 2012 with Idea Cellular for Managed Services and in 2011 with Swisscom for Fraud Management. The company was also awarded the BSS&OSS Latin America Best Fraud Prevention project award in 2016 with Telefonica Chile. Subex’s customers include 39 of top 50 telecom operators* and 7 of the world’s 10 largest# telecom companies worldwide. The company has more than 300+ installations across 90+ countries. SWAN MOBILE, a. s., is a rapidly developing Slovak Mobile service provider. SWAN Mobile plans to invest 100 million EUR into cutting-edge LTE network infrastructure to deliver mobile voice and data services to the vast majority of Slovak population. Company started to offer its mobile services in the summer of 2014 and since October 2015 SWAN Mobile operates as fourth mobile network operator in the country under the brand name 4ka with more than 300 thousand customers since its launch. Technological innovations, range of services including the first commercial launch of Voice over LTE service in Slovakia and rapid business growth ranks the company among leaders within the Slovak telecommunications market.